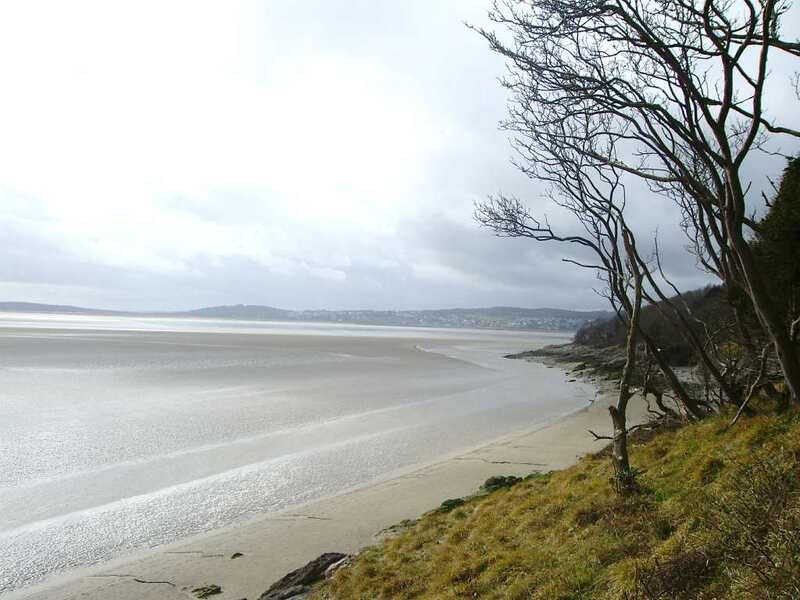 Arnside & Silverdale are approximately a 30 minutes drive from Sandown Holiday Flats Morecambe. 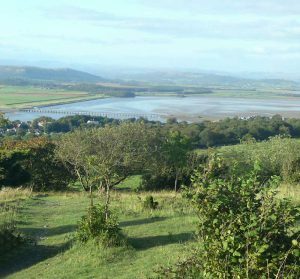 Arnside and Silverdale is an Area of Outstanding Natural Beauty it has lots of wildlife, fantastic scenery, and lovely walks. The area has woodlands, grasslands, meadows and coastal salt marshes which make this perfect for wildlife. Arnside has a few shops along the promenade with a couple of pubs that looks across the estuary towards Grange over sands and the Lake district hills. Watch the Arnside Bore, this happens about every month. The Bore is a tidal wave and only occurs in a few locations worldwide; it ranges from a few centimetres to almost a metre high. Arnside also provides a siren, to warn of the incoming tide. There is also Arnside Knott this is owned by the National Trust, it is a 520 ft high flat rock. Arnside Knott has a great wooded walk up to the Pepper-Pot at Silverdale or around the coast with beautiful sea views. 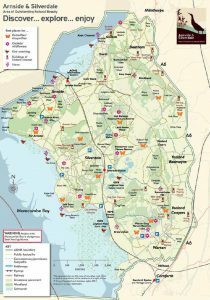 Silverdale is well known for its RSPB Leighton Moss where you can find lots of birdlife it has been on many shows on the BBC, and it has more than 100 species of bird. Silverdale has a few shops, pubs and cafes. Jack Scout which is owned by the National Trust is just a short walk from the road, and has a fantastic view across the bay to the Lake District hills. Have a sit on the Giant’s seat and listen and watch the birds call and feed like the Oystercatchers & Curlews on the sands, warblers and Blackbirds on the land to name a few, it’s a great place to watch the migrant-birds passing through. When you get back from your day out here or you decide just to sit in the window all day with a cup of tea, bring your binoculars to bird watch out of our large bay window and see what birds you can spot, we have been told recently by a couple of guests that they have seen a sparrow hawk in our front garden which they were really surprised to see.